Laundry Systems – Walter E. Nelson Co.
We also provide after sale support on the equipment we sell. Contact our dedicated Laundry Specialists for all your supplies and service needs. E-mail us or call 800-929-2141. 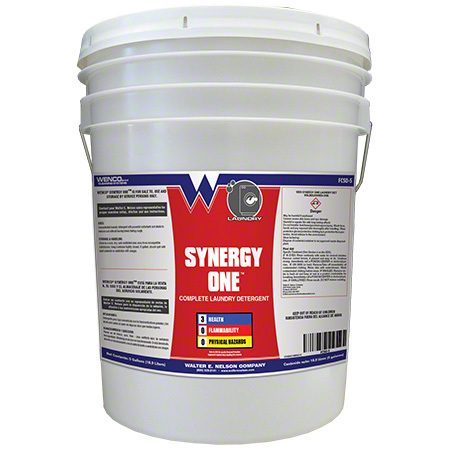 Wenco Synergy One is the next step in cleaner laundry. This special formulation combines the boost of alkalinity with advanced superior cleaning technology. 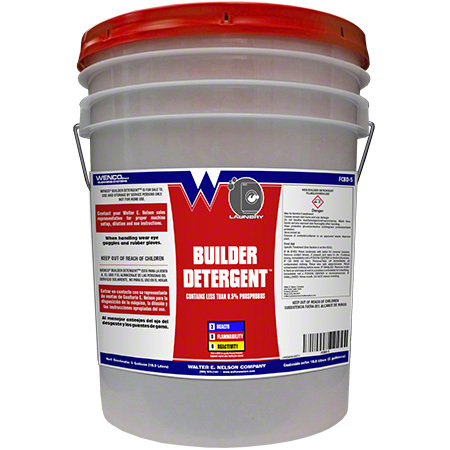 Wenco Builder Detergent contains a concentrated blend of anionic and non-ionic surfactants. Optical brighteners produce whiter whites and brighter colors. 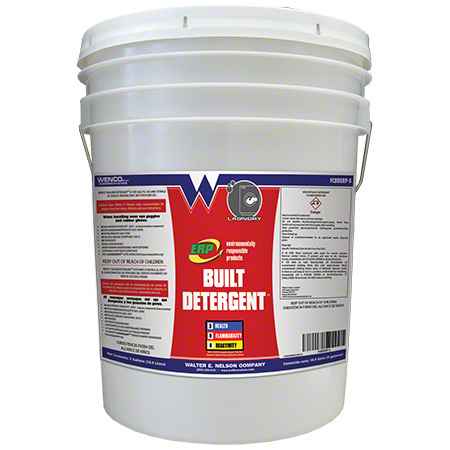 Wenco Built Detergent requires no additional detergents or alkalies for most light to medium soil loads. Highly effective in both hard and soft water. Laundry Emulsifier outperforms powders in removing oil and grease from cotton and polyester-cotton blends. It is a highly effective blend the is superior in emulsifying petroleum, food, and body oils. Wenco Crystal Clean liquid laundry detergent is safe on all types of washable fabrics in all water temperatures and hardness conditions. This product is perfect for any machine washable clothing. Rinses easily and thoroughly leaving no deposits. Great for every make, model, or type of automatic washer. 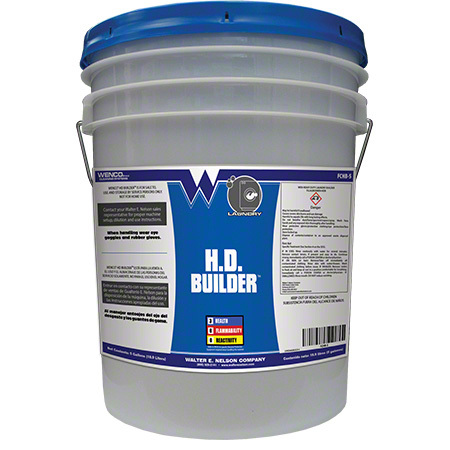 Wenco HD Builder is a high alkaline product designed to assist detergent systems to get whites and light colored fabrics clean. 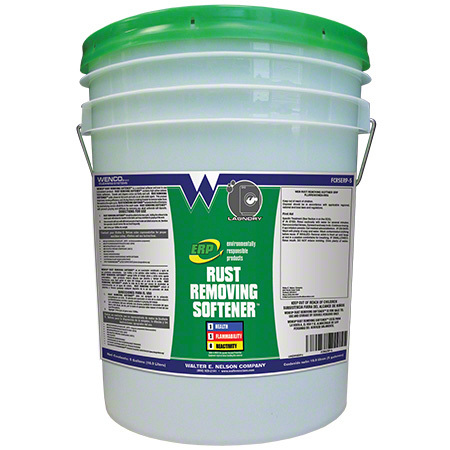 Wenco Rust Removing Softener is a combined softener and sour in one convenient product. A powerful pH adjuster which is more effective than traditional acid type commercial laundry sours. Ideal for use in areas with high iron levels. A.C.T. 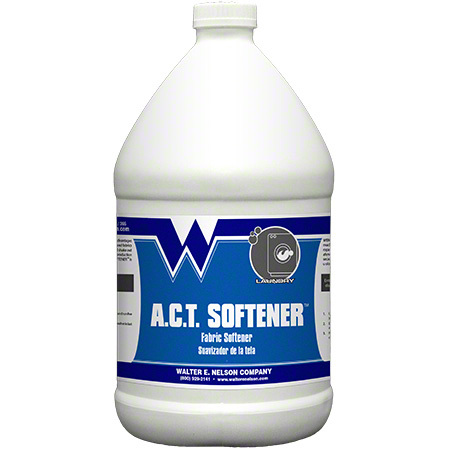 Softener makes clothing and fabrics soft and fluffy. it reduces static charge on fabric and will minimize “cling” and shake out time. 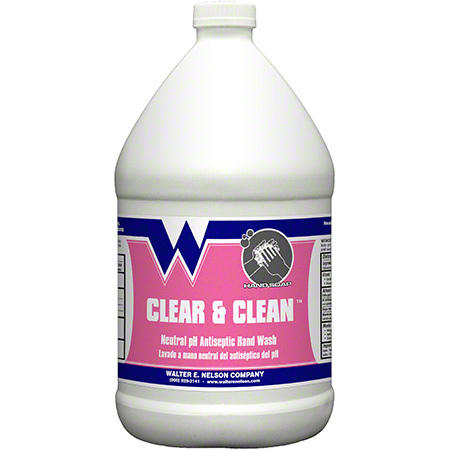 Wenco Laundry Bleach can be used in laundry operations to remove stains from white work. 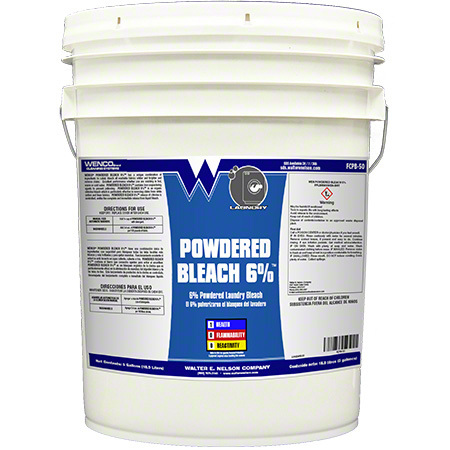 Wenco Powdered Bleach 6% has a unique combination of ingredients to safely bleach all washable fabrics making them whiter and brighter and remove stains. Excellence performance whether you are washing in hot, warm, or cold water. 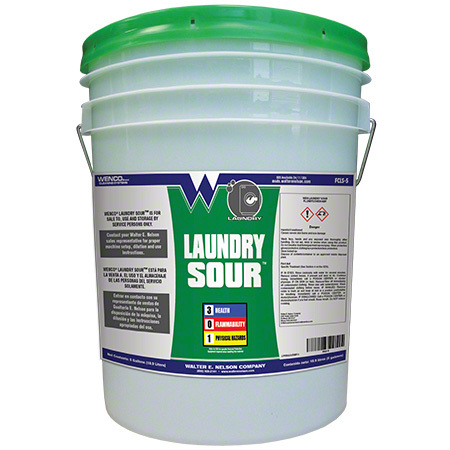 Wenco Kick Natural solvent based detergent additive provides an extra “kick” to your laundry formulas to help remove problem and tough oily or greasy soils. Wenco Super DeStain is specifically designed to remove laundry stains caused by makeup, lipstick, waterproof mascara, grease, tar and other difficult to remove stains. 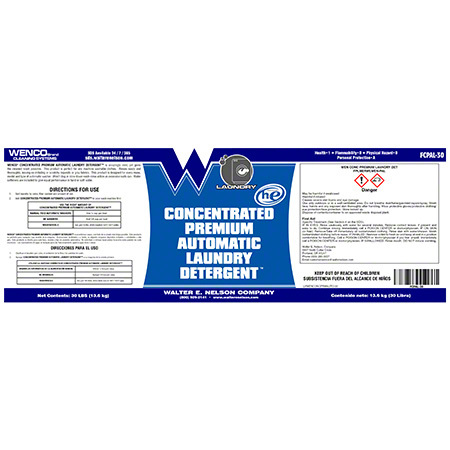 Wenco End Rust is a fluoride type rust removing additive for use in all commercial laundry applications. 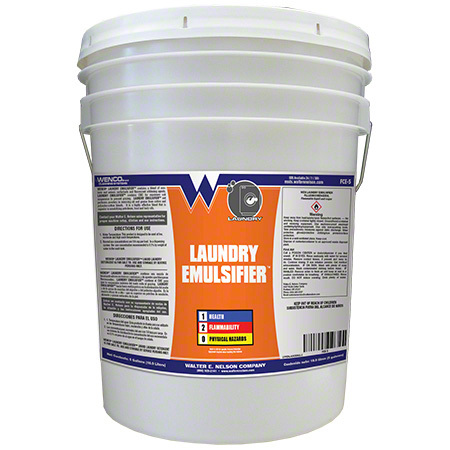 This product is designed to remove rust stains from shirts and linens as a spotter before the laundering operation. Wenco Blood Out is a concentrated, biodegradable product designed to easily and quickly remove stains of blood, albumen, food and similar stains. Wenco Betadine Remover removes iodine stains from fabric and floors. Wenco Sparky is specifically designed to instantly discharge static electricity in laundry machines, fabrics, carpets, etc. Wenco Fabric Sizing adds body to fabric, impedes soil and stain penetration.